On this wondrous morning in the western Canadian province of Alberta, it seemed like every fifth fence post had a hawk on it. I was blessed to be able to get close enough for this view, even capturing a highlight in the eye. No tripod; I needed to be as flexible as possible and tripods don’t allow that. Nikon D7100, 70-300 mm. lens. Great image, got to live that light! 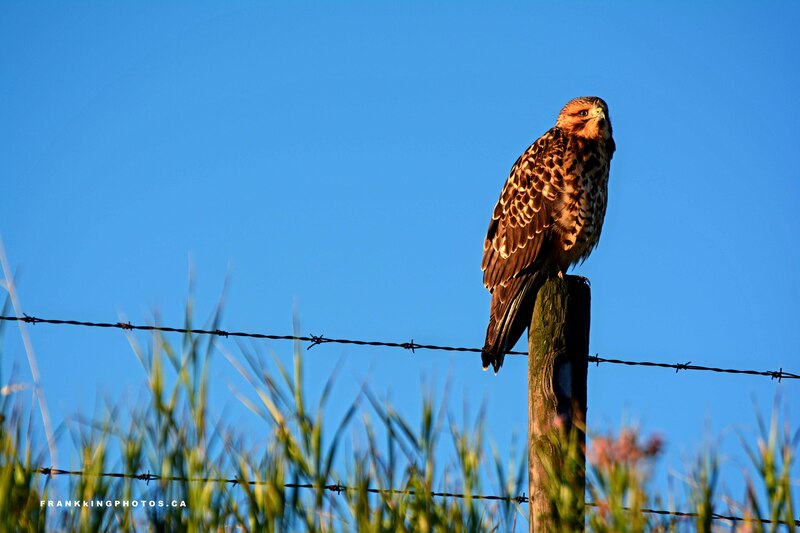 I love that – “every fifth fence post had a hawk on it.” Went out for a evening drive a week and a half ago and it was the same. The light is awesome in this shot!